This picture of my 15 year old daughter evokes many things for me… she’s the most stylish teenager I know. Of course I’m biased, but she truly is gorgeous. So a few words that this image evokes for me… youth, style, hippy chic (she’ll like that one! ), adventure, potential, limitless. I took this picture at 6:30pm during a lovely evening in Texas, with the sun setting during our golden hour, and the light pure and just right. I used my Canon DSLR paired with my 50mm 1.4 lens. 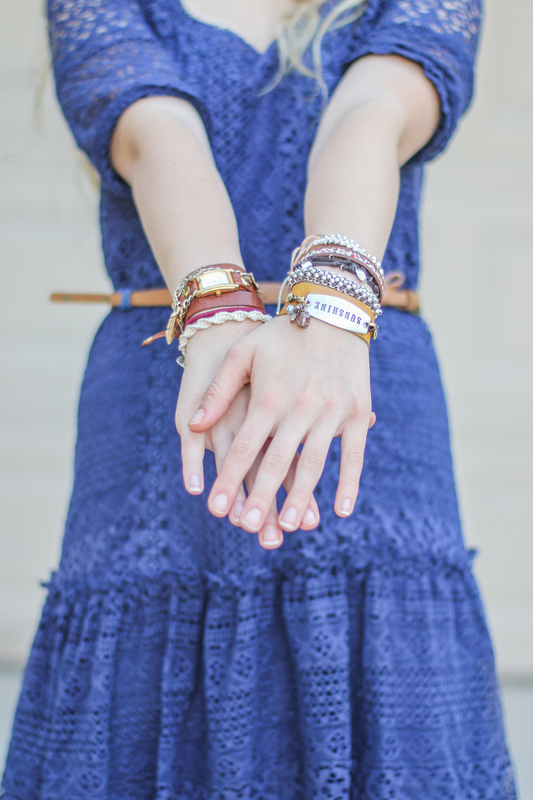 I played with my settings a little, knowing that I wanted to use a shallow depth of field to obscure our garage door in the background, and highlight her arm candy. My aperture was set at f/1.6, my shutter speed at 1/320, and my ISO was 100. In Lightroom 4, I initially cropped the image, and adjusted the angle. I then decreased the highlights and increased the shadows, the blacks, and the clarity of the image. Shopping and lunch at an outdoor cafe? I can NEVER pass up that invitation. For me, It’s definitely a fabulous way to spend a spring afternoon in the city. 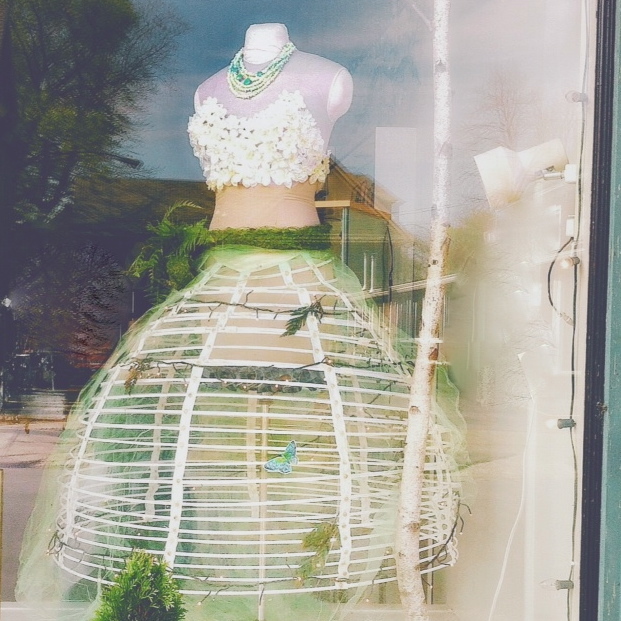 This window belongs to one of my favorite Buffalo, NY boutiques. This display, and it’s exquisite detailing, evokes a feeling of whimsy, quirkiness and hope. It has an ethereal elegance to it, and it definitely summoned us into the store, wanting to see more. I shot this with my iphone 4, with late morning sun behind me. Going back and forth from one to the other, I edited in both Snapseed and Pictapgo. It was a delicate balance between highlighting the small details and keeping the airy and opalescence feel of the original display.